LaGrange Products specializes in and has produced a wide assortment of original custom fabrication gas and liquid filtration vessels. Our company takes customer service and responsiveness very seriously, and we will design and manufacture your custom orders up to 96 inches in diameter, Using a wide variety of material specifications (Carbon Steel, Stainless Steel and Duplex Stainless). 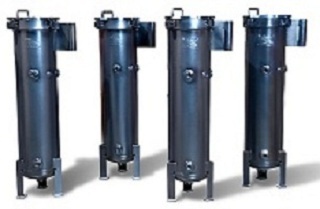 Filtration vessels are designed to separate oil, water, dust, dirt and pipe scale from liquids, compressed air and gas. The pollutants are gathered in a filtration vessel in many ways, depending on the OEM’s application. Some are mechanically separated into a large-volume sump area. Others utilize coalescing filter elements. Some depend on a separate replaceable filter altogether.